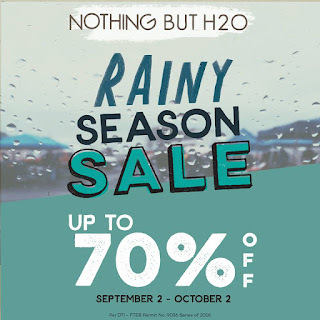 Now's the time to hoard on summer essentials with Nothing But H20's month-long Rainy Season Sale. Get discounts of up to 70% off on great items that will surely help with making your next summer the best one yet! Sale runs until October 2, 2016 in all Nothing But H20 stores nationwide!